This is a guest post by Leah Stemeroff, consultant at Shared Value Africa. There's an energy crisis in Zambia that is pushing energy-insecure communities even further into the dark. On the surface, this can be attributed to the severe energy supply shortages that are resulting in power outages of up to 12 hours a day. However, it's more complex than that. Charcoal is the primary off-grid energy source in Zambia and alarming levels of deforestation have added significant transportation costs to charcoal prices. To make matters worse, the local currency has depreciated significantly. This results in a decline in purchasing power, making charcoal that much more expensive. Zambia desperately needs new energy solutions that are reliable, accessible, and affordable. Charcoal is not the solution. Beyond being expensive and harmful to the environment, cooking indoors with charcoal in a traditional mbaula (charcoal brazier) contributes to Indoor Air Pollution. Indoor air pollution is the silent killer of over four million people globally every year. For context, this surpasses that of malaria, tuberculosis, and HIV/AIDS combined. Shared Value Africa, a social enterprise headquartered in Lusaka, Zambia, intends to develop the premier distributor of clean energy solutions through supporting its brand, VITALITE Zambia. 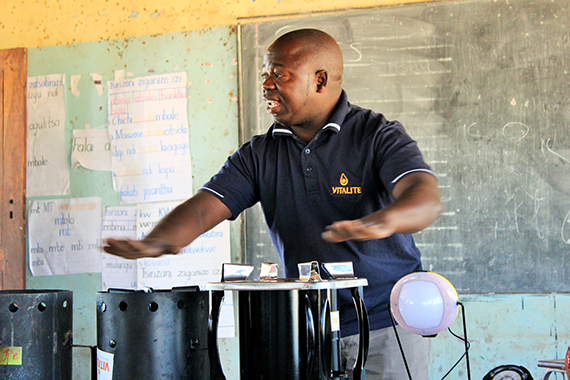 Switching from the mbaula to VITALITE's cookstoves and clean biomass fuels has both health benefits and economic benefits. 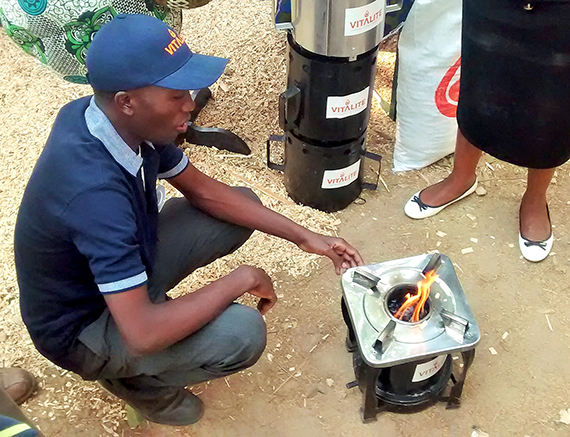 Gasifier stoves burn cleanly, lowering indoor air pollution compared to charcoal stoves, and biomass fuels are increasingly cheaper than charcoal. However, procuring clever technology is the easy part. The hard part is getting these technologies to the people who need it. 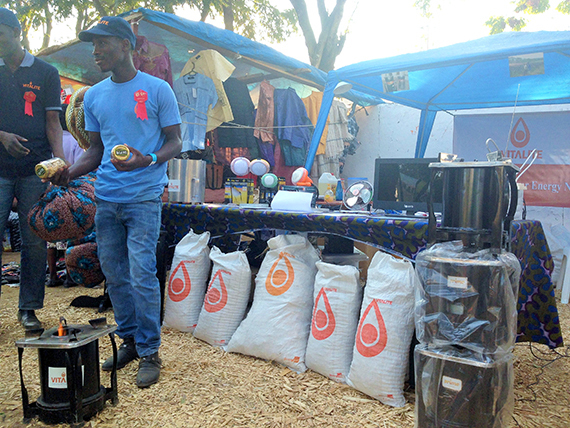 We partner with VITALITE to distribute clean cookstoves, biomass fuel, and solar lamps through a network of commission-based sales agents within communities that have long been affected by energy insecurity. This year, Shared Value Africa will train 300 additional sales agents as energy entrepreneurs to market VITALITE products. As such, when Segal Family Foundation presented us with the opportunity to visit a fellow grantee partner to encourage learning through sharing insights and best practices, we were keen to take the opportunity. 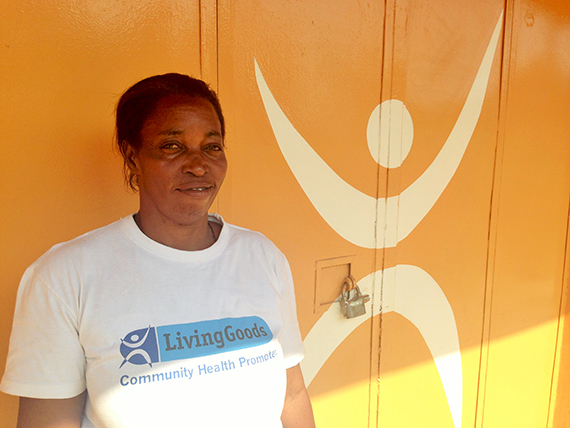 We decided to visit Living Goods, a non-profit that built a sales agent network for distributing health products in Uganda. In an effort to continually improve our model, Shared Value Africa found that building an efficient and productive distribution channel that's able to reach these energy insecure communities requires significant investment. For Shared Value Africa, the distribution channel is a social network and the investment must then be in people. This is one of my major takeaways from my time spent with Living Goods--the need to invest intentionally in sales agents. Investing intentionally means more than building capacity to suit donor requirements. It's about connecting with the people the network is made up of and prioritizing support that allows for people to invest in themselves. When relying on existing social networks to reach customers, you must respect the networks building blocks--relationships. Therefore, to strengthen the channel, you must strengthen those relationships. Living Goods serves as an example for this, with a mandatory 13-day training for all sales agents when they join and optional one-day monthly refresher trainings. In terms of hours, this equates to approximately 200 hours in a sales agents first year and 96 hours per subsequent years. I was able to meet four of Living Goods' sales agents from their Tula Branch in Kampala, each with a heart-warming story of how being involved with Living Goods has improved their lives. They shared the different struggles they face supporting their communities, but the common theme was that Living Goods is there to support them. Pristine, who took me on a tour of her community, said it best, "Without training, I can't manage to do good work." The lessons learned in Kampala from our Segal Family Foundation grantee partner will inform the relationships Shared Value Africa and VITALITE build with these entrepreneurs. This will help us strengthen the social network that is necessary to get clean energy to the people who need it most and, ultimately, to transform energy access in Zambia.